Gain the essential skills and inspiration for making mixed media art. In 101 Mixed Media Techniques, artists of all backgrounds and skill levels will learn and explore fun, cutting-edge techniques in the popular genre of mixed media art. 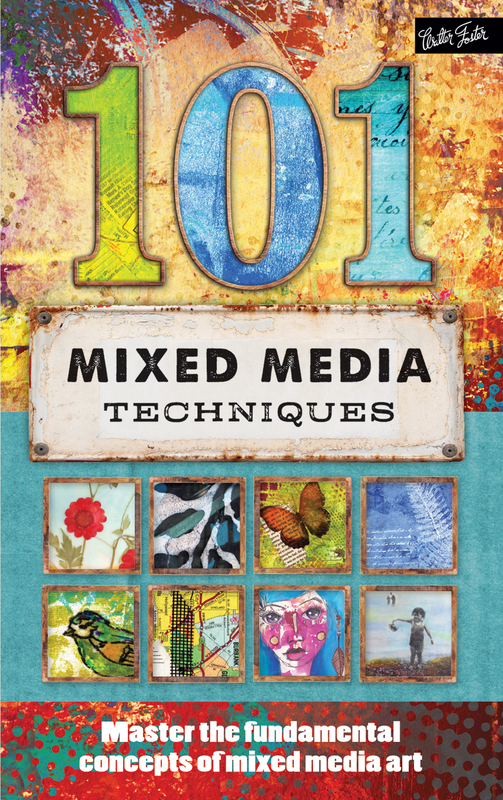 Mixed media enthusiasts will enjoy learning the essential concepts for creating their own mixed media art - whether they are experienced in its approaches or just starting out. 101 Mixed Media Techniques features a wide variety of traditional and eclectic techniques, including drawing and painting, stamping, stitching, using photos, prepping backgrounds, working with wax, using different kinds of inks, collaging, journaling, and working with encaustics. 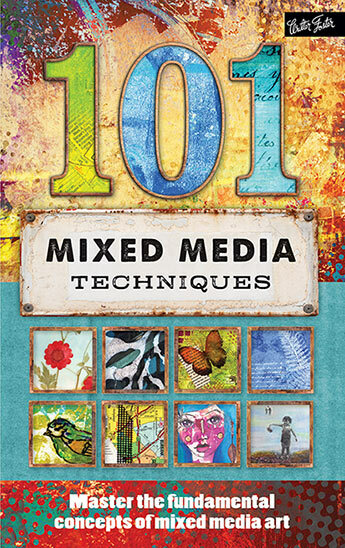 With so many options to choose from, 101 Mixed Media Techniques has something for every artist and is sure to inspire new forms of creativity. Cherril Doty is an artist, writer, and Director of the Sawdust Art Festival's Studio Art Classes in Laguna Beach, California. While she holds a masters degree in counseling psychology, the need to create has called, and Cherril followed her muse to try new forms and search possibilities. Mixed media represents the culmination of the search and is the process by which to achieve still more through teaching and experimentation. Suzette Rosenthal earned a BA in Art from California State University, Los Angeles. In addition to designing and producing a high-end line of knitwear, Suzette is drawn to collage, using textures and color to create visual interest. Isaac Anderson is a self-taught artist whos passion for photography has taken him on many journeys as documentary filmmaker. He has spent the last eight years in Southern California experimenting with photography, mixed-media painting and documentary filmmaking. Joe Martino spent many years teaching chemistry, anatomy, and marine biology, but he has always been an artist at heart. He was recently featured as one of Stark Countys finest artists in the book Stark ARThology. Jennifer McCully is a graphic designer who expanded her horizon to include mixed media work. Her creative spirit can be seen on her bold canvases, which feature vibrant and simple objects that are energetic and inspiring. Her childlike creations evoke happiness, and her inspiration is drawn from practically anything. Jennifer is a full-time Etsy seller, operating four different shops. Linda Robertson Womack is a nationally recognized artist, art instructor, and the author of Embracing Encaustic: Learning to Paint with Beeswax. Samantha Kira Harding is an artist by accident, a writer by schooling, and an explorer by birth. Samantha teaches classes on journaling and the artful experiences of daily life, including "True to You," a workshop focusing on every day as fuel for journaling adventures. She has been published in Somerset Studio, Artful Blogging, Art Journaling and Cloth, Paper, Scissors.